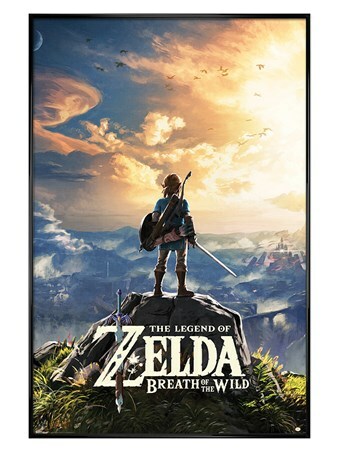 Video Game Maxi Poster: Legend has it that three golden goddesses, Din, Nayru and Farore created Hyrule and the land was infused with their incredible powers! 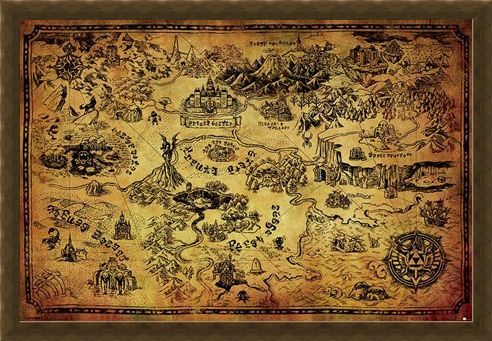 Throughout The Zelda Franchise, we see our protagonist Link explore Hyrule with companion Epona as he completes his many quests. 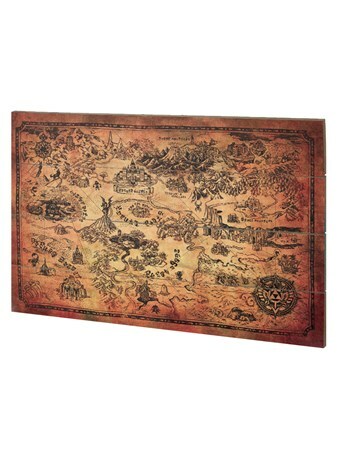 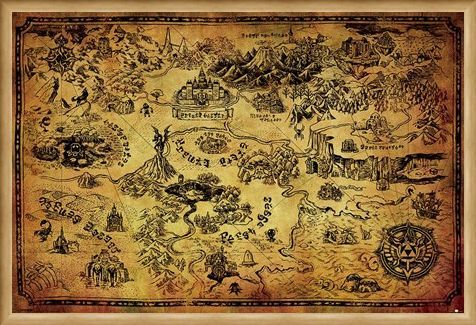 If you would like to follow in Links footprints then you're going to need this vintage styled map pin-pointing all of the magical locations in Hyrule. 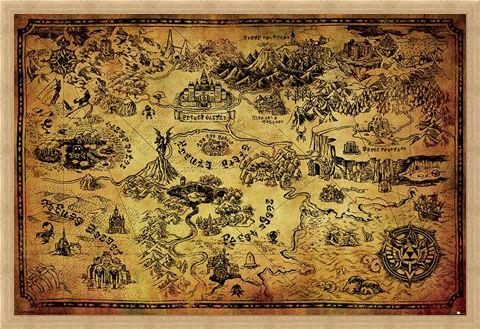 Step right out of your living room and jump right into Hyrule, you never know who or what is waiting for you! 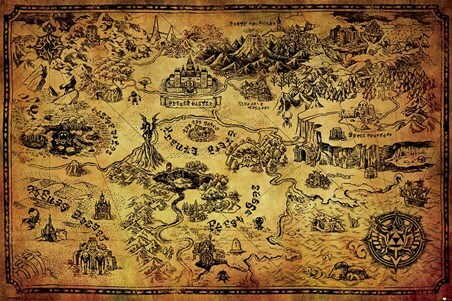 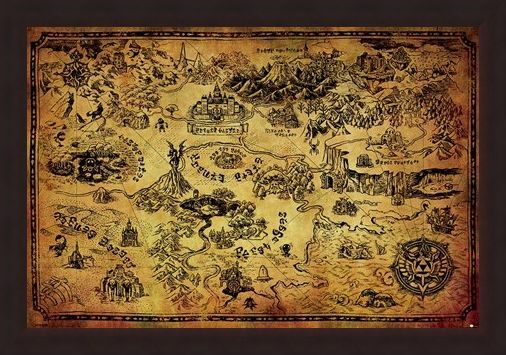 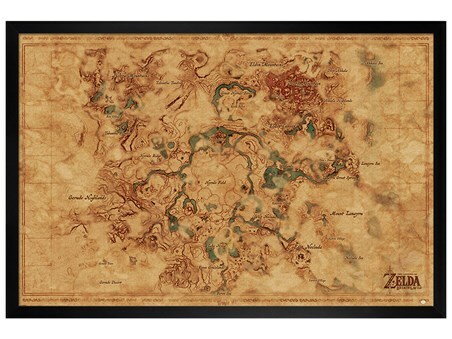 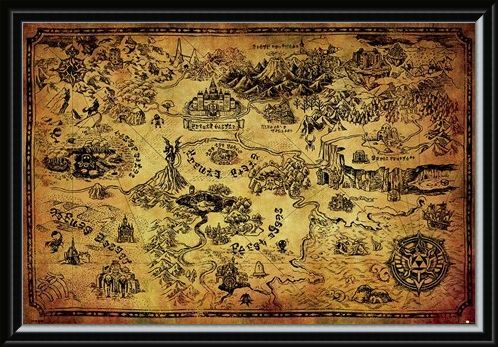 High quality, framed Hyrule Map, The Legend Of Zelda poster with a bespoke frame by our custom framing service.